Topstar.co.uk appreciates that it is important to our customers that their payments and any other information provided to us are handled securely. Topstar.co.uk uses high-level SSL encryption technology which is the most advanced available for the protection of online transactions. You can be assured that we take the privacy and security of our customers’ payments and personal details seriously. An indication of whether a page is secure or not is by looking at the address displayed in your browser. Standard, insecure, page addresses start with ‘http://’ while SSL encrypted pages start with ‘https://’. It is always a good idea to check this before providing any personal or payment information to a website. 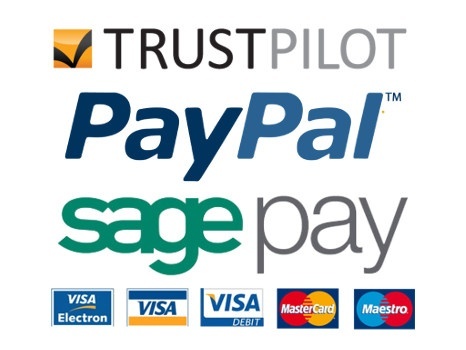 We accept most major credit and debit cards except American Express and these payments are handled securely by SagePay, a widely recognised and respected payment processor. We also accept payments made through PayPal and in these cases we never even see your card details. If you require your order to be dispatched to an address that differs from the billing address on record with the payment service or card that is used, additional security checks will be performed and we will contact you if necessary.